This is a 1541 sq. 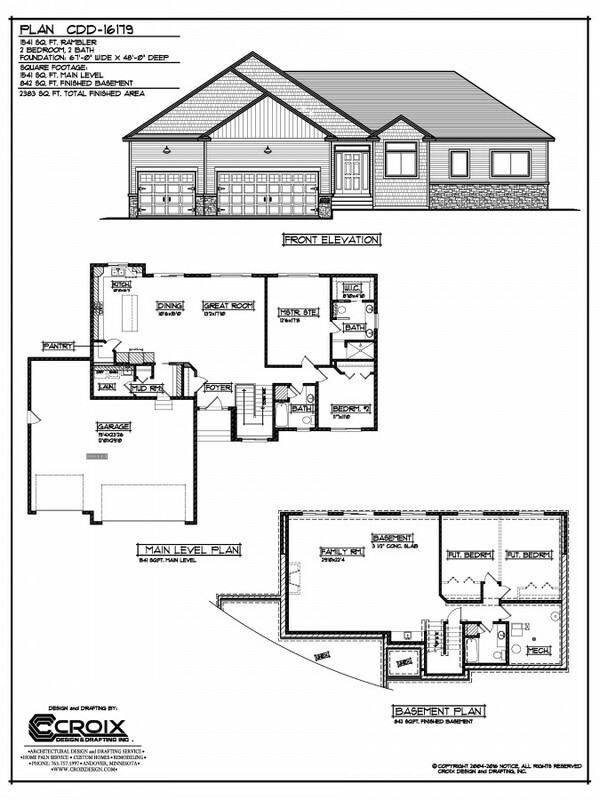 ft. rambler with a walk out basement. 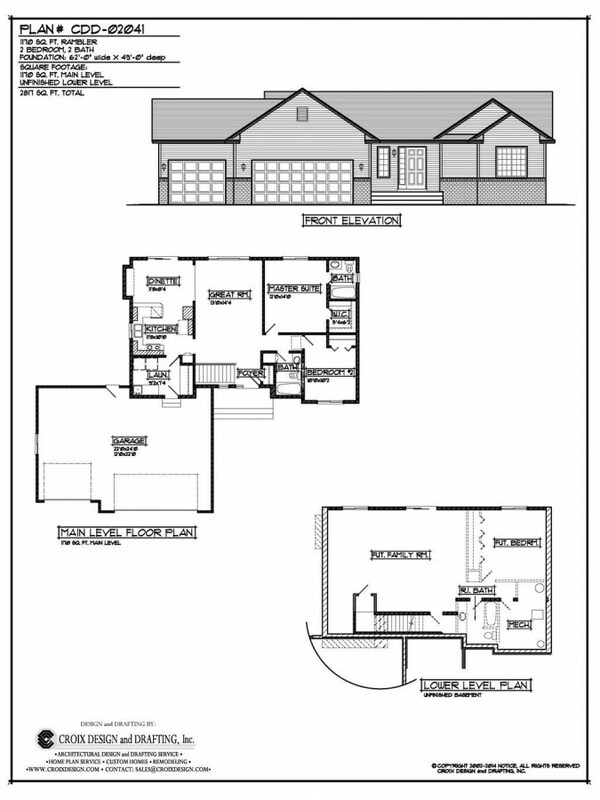 The main level features a master suite and master bath as well as an additional bedroom and bath. 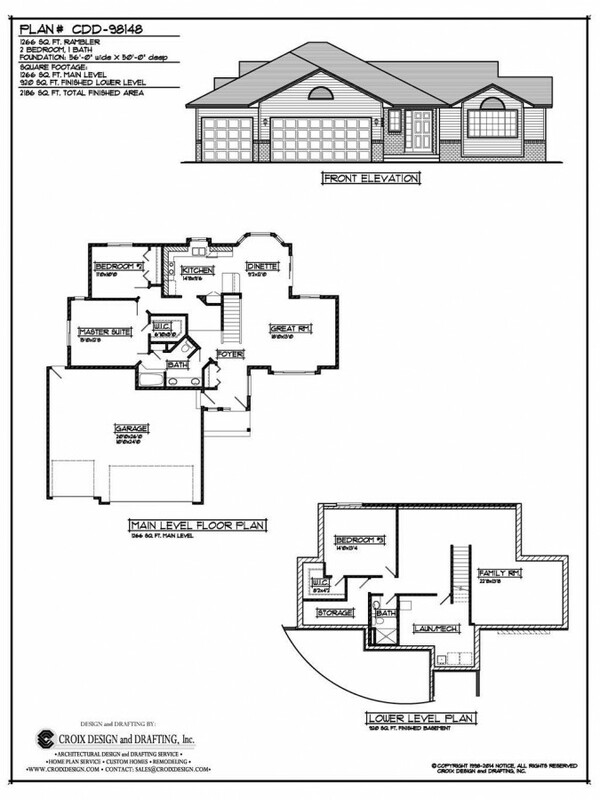 Both bedrooms are located to the right of the foyer. 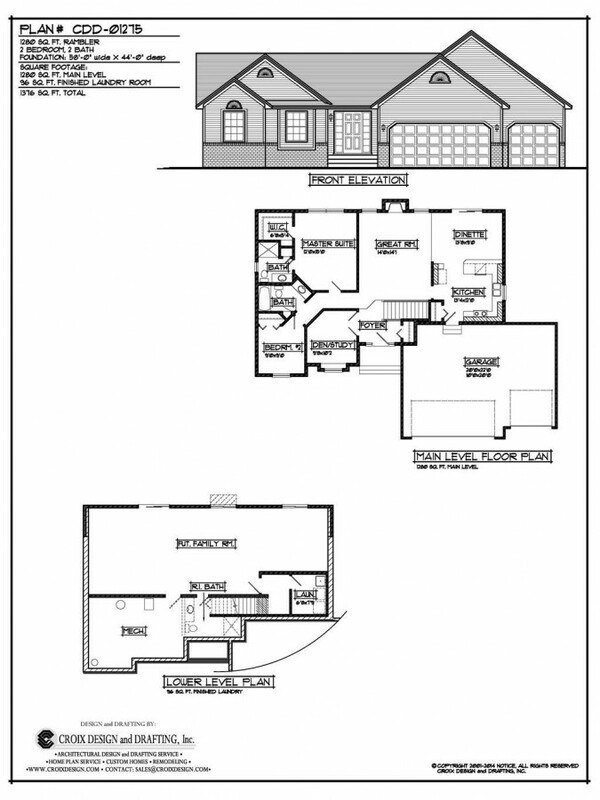 The great room is located at the center of the floor plan. the kitchen and dining room is located to the left of the foyer. The main level also features a mud room and laundry room.